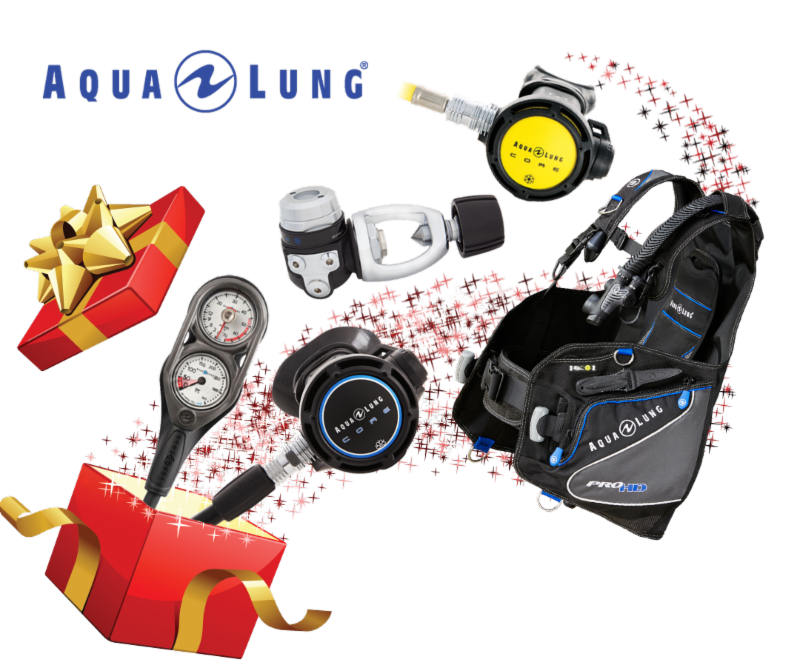 See our latest news, dive trips and specials on equipment and courses! Al Quoz Workshop & Outlet Store will be closed on 25th of December and 1st of January, 2016. All of our diving and watersports centers are open as per their usual timings during the Festive Season, on the New Year's Eve and 1st of January, 2016. 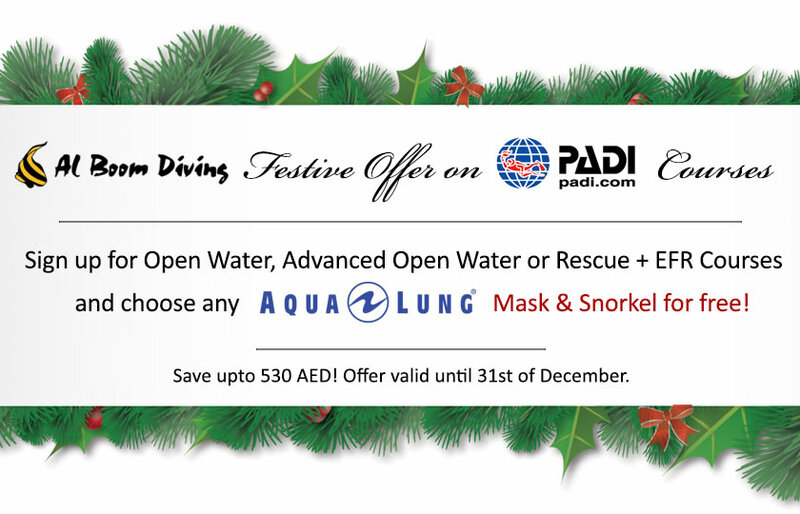 Sign up for Open Water, Advanced Open Water or Rescue + Emergency First Response Courses and choose any Aqua Lung Mask & Snorkel for free! Offer valid until 31st of December. They can be purchased and used at the DiveShop.ae for anything including Dive gear + Shipping charges, Dive courses & Dive trips. * We ship to most G.C.C. countries. Shipping policies may differ from Brand to Brand. Please contact the store for any queries. * Offer only applies to these specific models, when bought as a complete set. Unique gift idea for this Festive Season! 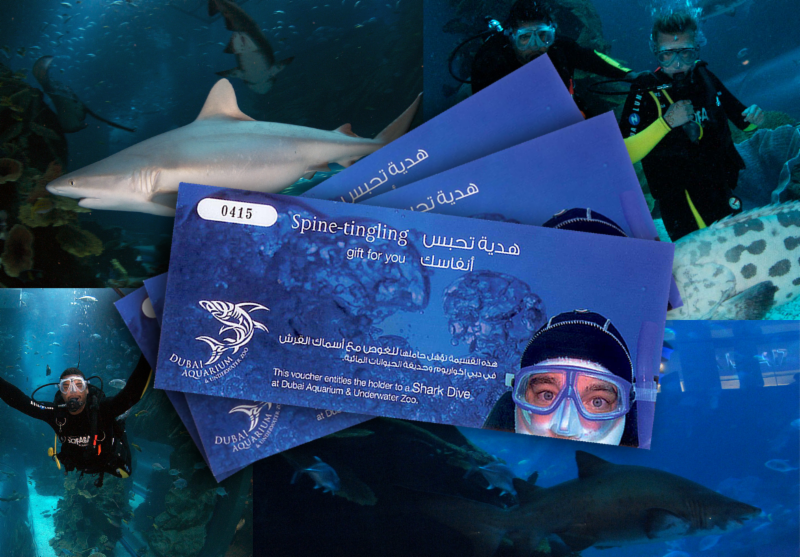 You can purchase your Shark Dive Gift Voucher at Al Boom Diving in the Dubai Aquarium and Underwater Zoo. For further details please call us on +971 4 342 2993 or email us!